Skoda Auto established its Indian subsidiary, Skoda Auto India Pvt. Ltd. in 2001 and has its headquarters located in Aurangabad. The firm has a wide network that extends across 58 cities with over 70 dealerships located across the country. Why is it Important to Insure Your Skoda? Car insurance protects you against the liabilities that you may incur due to an accident. Also, as per the Motor Vehicles Act, it is mandatory for every car owner to insure his/her car with at least a third-party car insurance. TATA AIG Insurance Co. Ltd.
Comprehensive car insurance is a motor insurance plan that covers third-party liabilities as well as own damage liabilities that you may incur at the time of a mishap. A third-party liability car insurance plan covers third-party liabilities that you may incur at the time of a mishap. You can renew or purchase a car insurance online from third-party insurance websites or official websites of insurers. The process of online policy purchase/renewal is both hassle-free and quick. You can visit the nearest branch office of the insurer or meet with an insurance agent to buy or renew a car insurance. Intimate the insurer as soon as the mishap takes place. The insurer will send an authorised surveyor to inspect the vehicle and assess the loss/damage incurred. You will have to submit originals and copies of the necessary documents to the surveyor for verification. You will then have to take the vehicle to the nearest cashless garage to get the vehicle repaired. Post repairs, the insurer will settle the bills directly with the garage. This is the case for cashless claim settlement. In case of reimbursement claim, you will have to get the car repaired at the nearest garage and pay the garage for their services. Post payment, you will have to submit the payment invoice to the insurer to get the amount you spent on the repairs reimbursed. Loss or damage caused by fire, natural calamities, man-made calamities, etc. What options are available for my car insurance when I sell my car? In case I have to change the vehicle registration address or vehicle information, how do I go about it? In order to make the necessary changes, you will have to submit a copy of the vehicle RC and a letter of endorsement to the insurer. An NCB is a discount on the insurance premium awarded to the insured by the insurer for every claim-free year. A voluntary deductible is the part of the insured amount the policyholder opts to pay at the time of the claim settlement. 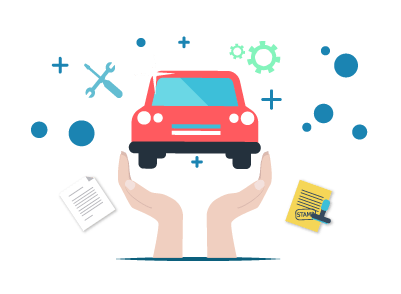 What is the tenure for car insurance policy? The car insurance policy is valid for 12 months. Skoda has launched its Octavia Corporate edition with its petrol version variant being priced at Rs.15.49 lakh and its diesel variant priced at Rs.16.99 lakh. The Skoda Octavia comes with four airbags, ABS with EBD and brake assists, electronic stability control (ESC), ISOFIX child seat anchors, and electronic differential lock (EDL). The model also has LED DRLs along LED headlamps, a touchscreen infotainment system with Android Auto and Apple CarPlay, and a dual zone climate control system with rear AC vents. The model is available with either a 2.0-litre TDI diesel engine or a 1.4-litre TSI petrol engine. The vehicle provides a power of 150 PS with 250 Nm of peak torque. The diesel version gives a power of 143 PS and a peak torque of 320 Nm. To lure customers to get their hands on their dream car in the month of March, car manufacturers Skoda have rolled out a number of discounts for the Rapid, Octavia, Kodiaq, and Superb models. For the Skoda Octavia, the company announced that they will be reduce the loan rate by 6% and they will get an extended warranty and free insurance for the first year of buying the car. In addition, car buyers will get loyalty and exchange bonuses up to Rs.75,000 depending on the model of the Skoda car. For the Skoda Rapid 2019, those who buy the car in the month of March will be eligible for loyalty bonuses up to Rs.25,000 and an exchange bonus of Rs.50,000. Customers that wish to buy the Kodiaq and the Superb models in the month of March 2019, will be eligible for loyalty bonuses up to Rs.50,000. Skoda Auto India has newly brought in the Skoda Shield Plus package that offers a six-year warranty to all Skoda models, against the existing four-year warranty scheme. So car models such as the Octavia, Rapid, Kodiaq, and Superb can get a warranty up to six years or until the car completes 1.5 lakh km, whichever is earlier. Besides the extension of the warranty period, the Skoda Shield Plus also offers free car insurance and round-the-clock roadside assistance. The car insurance feature of the package includes a one-year comprehensive cover plus a three-year third-party cover. Roadside assistance, under this package, will be provided for battery issues, mechanical failure, flat tyres, electrical failure, lost keys, breakdowns, fuel exhaustion, and accidents. The Skoda Shield Plus offer is also being made to existing customers who already have the four-year warranty package. Skoda has launched a new sporty-looking version of its ‘Superb’ sedan with many additional features. The Skoda Superb Sportline got a cosmetic facelift with plenty of additional features while the mechanical part of the vehicle remains unchanged. The base version of the petrol variant is priced at Rs.28.99 lakh, while the diesel version is priced at Rs.31.49 lakh. The upgraded version of the vehicle features 17-inch dual tone alloy wheels along with a lip spoiler finish. It comes with a darkened fog lamp housing and front fenders featuring the ‘Sportline’ name. It also comes with chrome highlighting on its rear diffuser. The interior of the vehicle comes in an all-black cabin along with 12-way electrically adjustable leather seats. Some of the other features added to the vehicle include climate control, parking sensors, panoramic sunroof, ABS, ESC, infotainment system, etc. The vehicle features a 1.8 litre TSI engine for the petrol version and 2.0 litre TDI engine for the diesel version.